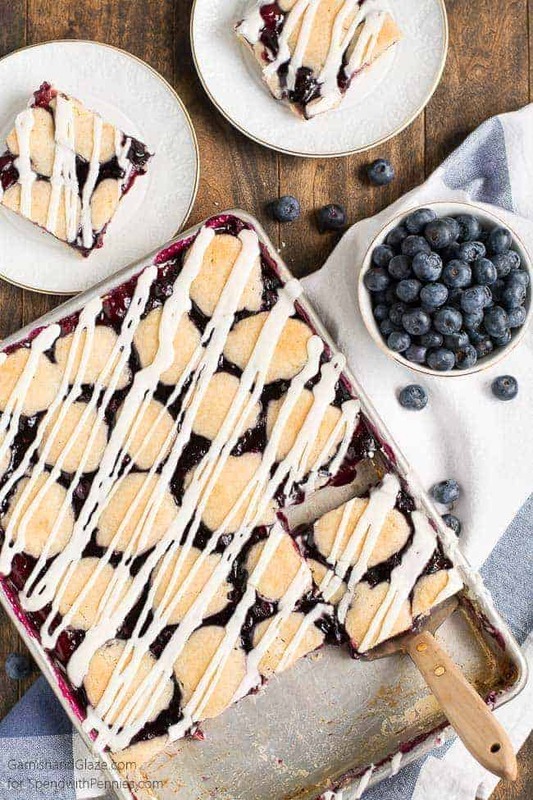 Blueberry Pie Bars are the perfect easy treat to throw together for the pie lovers in your life. No rolling pin required! 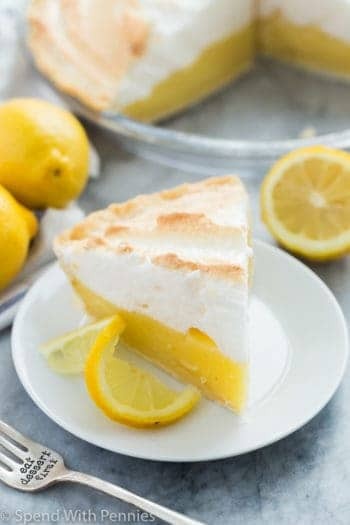 Pie is one of my husband’s favorite desserts and unfortunately I don’t really like pie… unless we are talkin’ ice cream, cheesecake, or brownie pie. It’s been tough on my pie-loving husband but lucky for him I’ve come to like blueberry pie. I serve it with ice cream so that’s probably why I like it so much but the filling is pretty good too. Pie really isn’t that difficult to make but it does take some time, creates lots of dirty bowls, and makes a big mess on my counters. 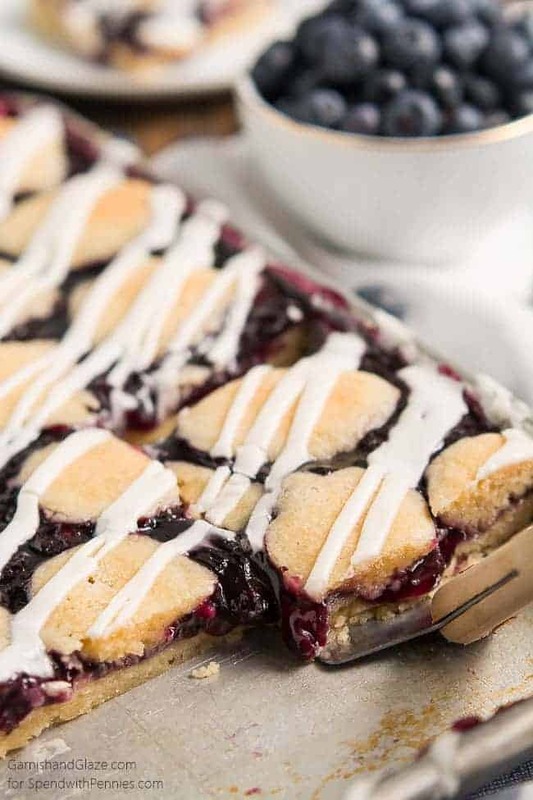 So, to satisfy my husband’s craving and my laziness, I made these Blueberry Pie Bars… and I ate most of them! I love ’em! 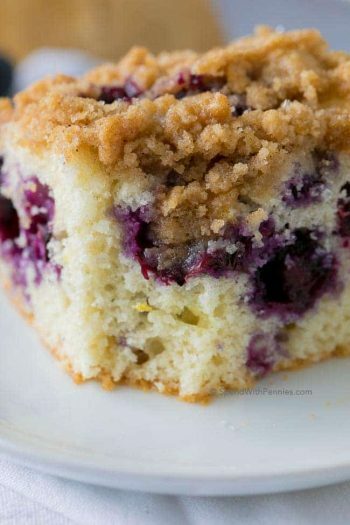 It’s like a soft cookie with blueberry pie filling in the middle. Mmmmm! So good! Oh, and there is icing on top. The more sugar, the better! Right?! My daughter, like every child, thinks so. 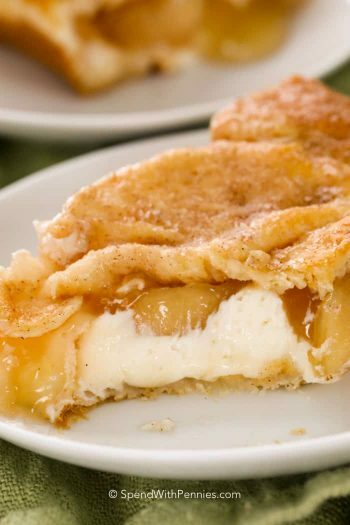 Some people have a tough time making a good flaky tender pie dough but the dough in these bars is pretty fool proof and tastes delicious both cooked and raw. Yes. My beater was definitely licked clean… by me. You can keep these all for yourself/family but they are also great for feeding a crowd (way easier than making a bunch of pies!). You can eat it with your hands so it makes clean-up easier too! What are you waiting for? 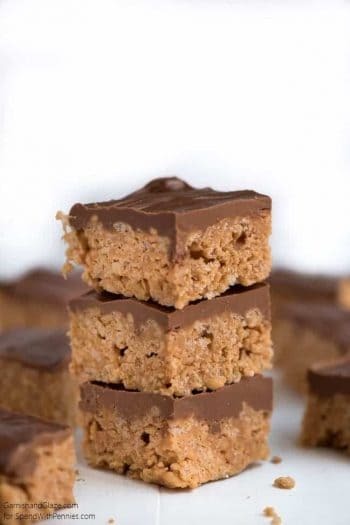 Go grab a can of pie filling and make these bars! You won’t regret it one bit. I’m sure you’ll gobble these right up but if you don’t eat them all the first day, store them on the counter, just don’t cover it air tight or else it will sweat. 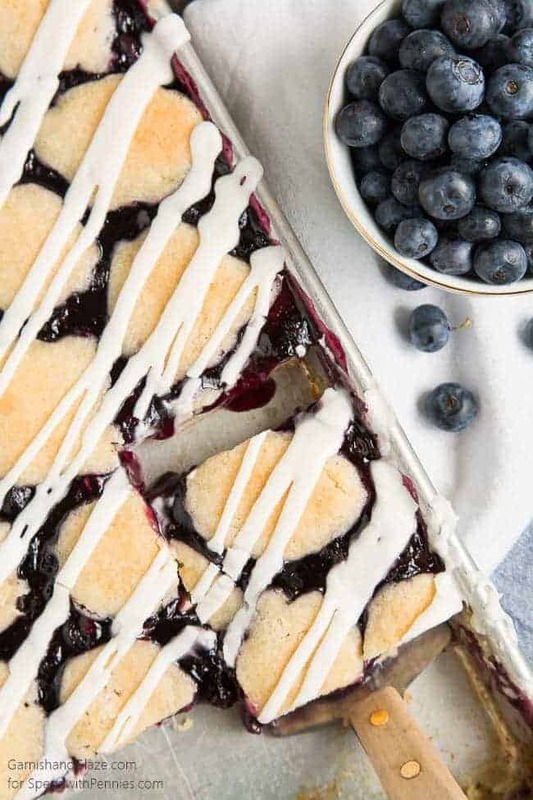 Juicy blueberries baked in a simple homemade buttery crust make the perfect afternoon snack. Cream butter, sugar, and salt for about 3 minutes, until light and fluffy. Mix in one egg at a time until combined. Mix in the vanilla and then the flour. Reserve 1 heaping cup of the dough and set aside. Place remaining dough evenly in the greased pan. Spread the pie filling over the dough and then drop spoonfuls of the reserved dough on top. Bake for 30-35 minutes or until golden. Let cool completely before adding glaze. Whisk all glaze ingredients together, adding one tablespoon milk at a time until desired consistency. Drizzle over cooled bars. Cut and serve. 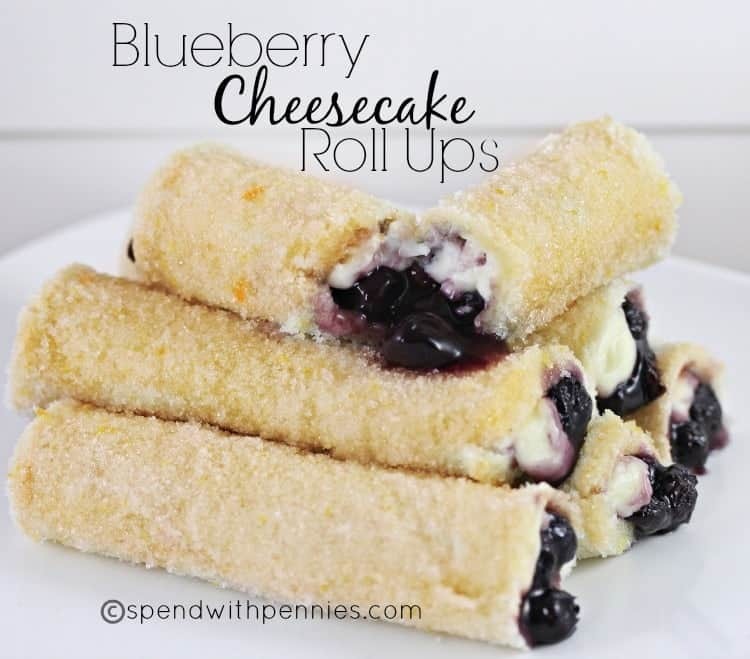 Need more blueberry recipes? Try these! Yummy ideas Dee, thanks for sharing! 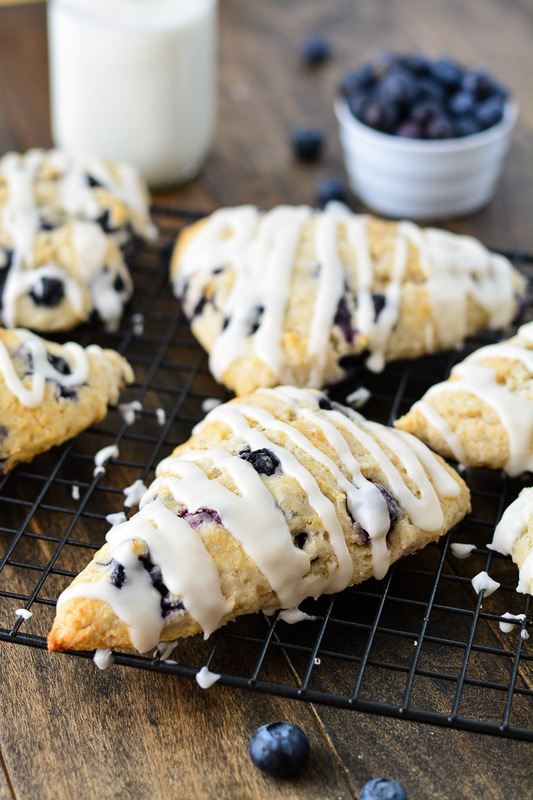 Have you ever tried with fresh blueberries? I have only made the recipe as written. If you try it with fresh, let me know how it turns out. 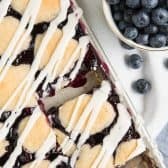 Can fresh blueberries be used instead of canned blueberry pie filling for the blueberry pie bars? I have only made the recipe as written. Let me know how it turns out if you try with fresh blueberries. I think that sounds delicious! Hi. This looks like a jelly roll pan instead of a 9×13. Can it be made in either size of pan? Thanks. A jelly roll pan is larger and will cause the bars to be much thinner. This recipe is best in a 9×13. If you use a jelly roll pan, the cooking time will need to be adjusted. 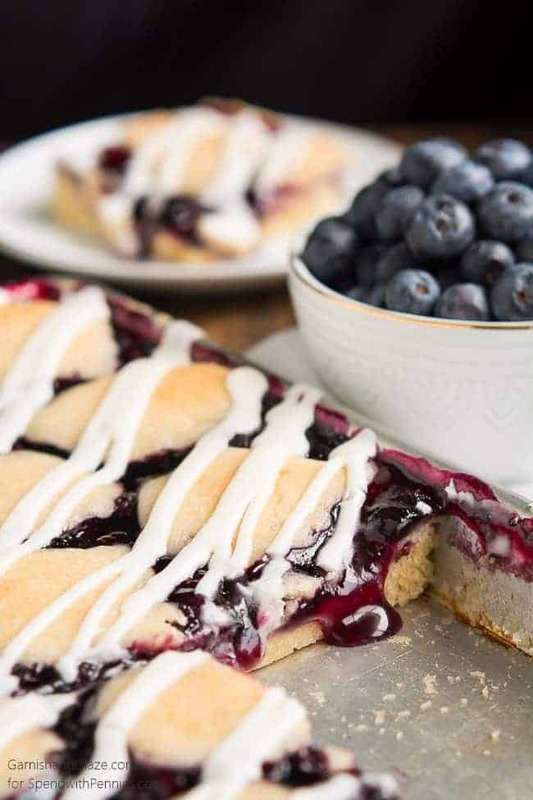 Looks like a delicious recipe,I have fresh blueberries not canned ones,before I google it can you give me an idea how to make this with fresh berries instead? My friend Lynne over at 365 Days of Baking has a great Blueberry Pie Filling recipe. 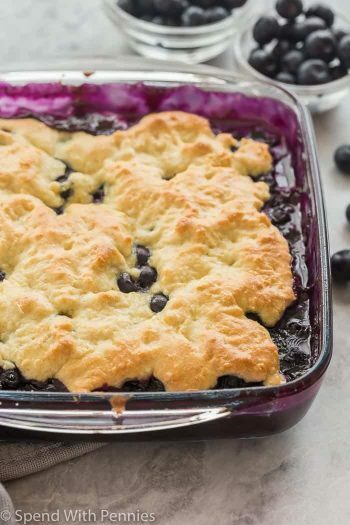 How do you make it with fresh blueberries?